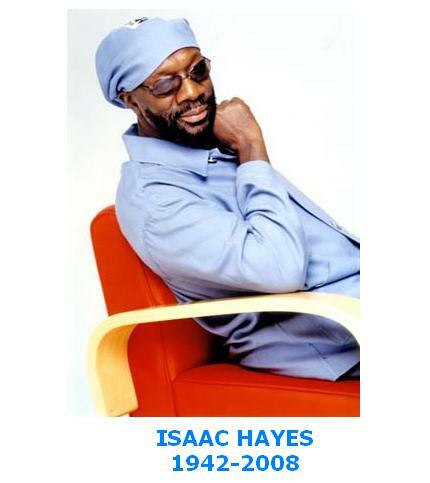 A collection of musicians, politicians, celebrities and activists said goodbye to Isaac Hayes in a three-hour tribute at Hope Presbyterian Church today. Hayes died Aug. 10 after suffering a stroke. He would have turned 66 Wednesday. Stax veteran William Bell, serving as host, introduced Revs. Al Sharpton and Jesse Jackson, who began the stream of speeches and anecdotes. Next came noted saxophonist Kirk Whalum, performing Eric Clapton’s “Tears in Heaven,” accompanied by a guitarist. Although most of those speaking references Hayes’ musical and humanitarian efforts, several made pointed references to Hayes’ beliefs as a Scientologist. Many of the celebrities at Hope were Scientologists. U.S. Rep. Steve Cohen (D-Memphis) made the first reference to Scientology, adding that Tom Cruise, also a member of that organization, was in Memphis at a private memorial Sunday to pay his respects. Memphis filmmaker Craig Brewer spoke about Hayes’ movie career, referencing “Escape from New York” and “Truck Turner,” and talked about the impact Hayes had on Memphis music. “I have a 7-year-old and a 6-month-old daughter, and rest assured, they’ll be raised on ‘Hot Buttered Soul’,” Brewer said. Actress Anne Archer (“Fatal Attraction,” “Patriot Games”) read a quote from Scientology founder L. Ron Hubbard. She’s a member of the group. Another Scientologist, actress Kelly Preston (co-star of “Jerry Maguire” and wife of John Travolta), reminisced about Hayes and a Scientology-backed educational program he helped introduce into some schools. Stax veteran Al Bell remembered his contribution to the title of Hayes’ landmark record. In Jamaica, a bottle of “hot buttered rum” caught his eye and he knew the term was perfect for Hayes’ sound. “I’m going to moss him terribly. I already do,” Bell said. David Porter, Hayes’ songwriting partner for more than 40 years, recognized all the Stax veterans in the audience, as well as the star of the movie “Shaft,” Richard Roundtree. He also pointed out Public Enemy founder Chuck D and renowned bassist Bootsy Collins.